Having just written the IRS a large check for taxes, we were looking this weekend for a simple and inexpensive, but satisfying meal for dinner. 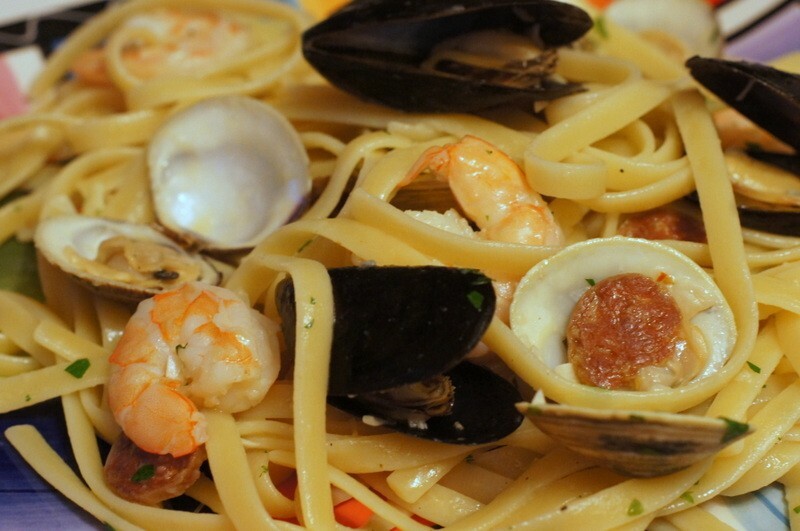 I settled on this easy-to-make pasta with shrimp, mussels, clams and chorizo. The total cost for the ingredients was only about $12-15 for a dish that can serve six. 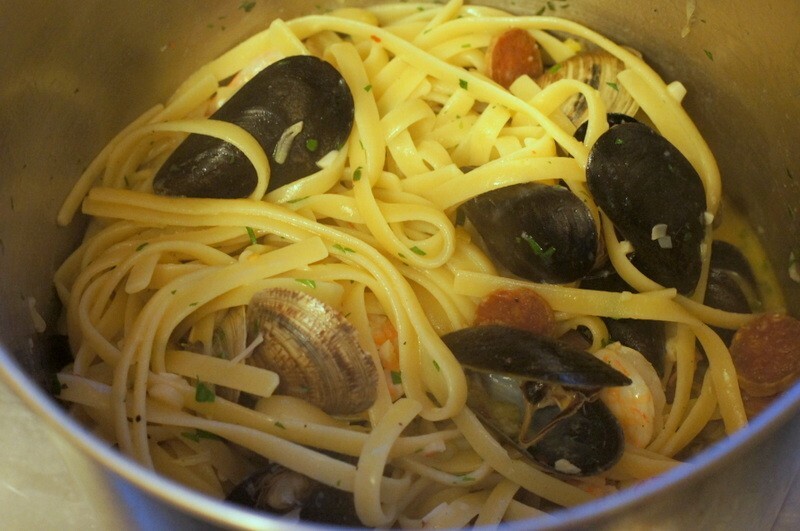 Bring a large pot of salted water to a boil and cook the linguine to just al dente. When the pasta is finished, drain and return to the pot along with the butter, parsley, salt and pepper, to taste. 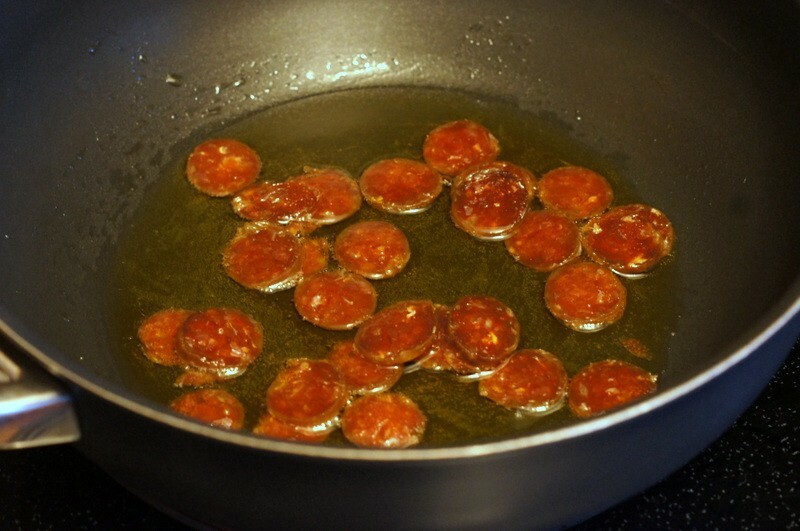 In another large pan or skillet, heat the olive oil over medium heat. 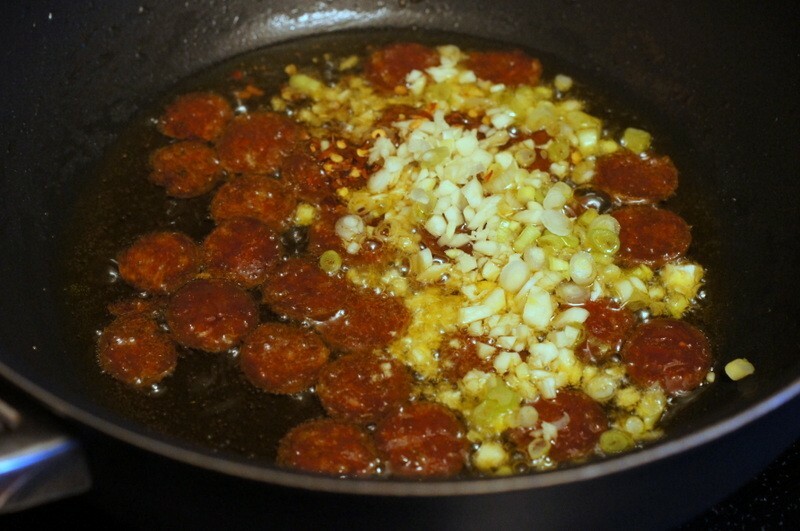 Add the chorizo and cook for a few minutes until the chorizo sizzles a bit and browns a little. Add the chili flakes, garlic and shallot or scallions to the pan and cook for 2-3 minutes, until softened. 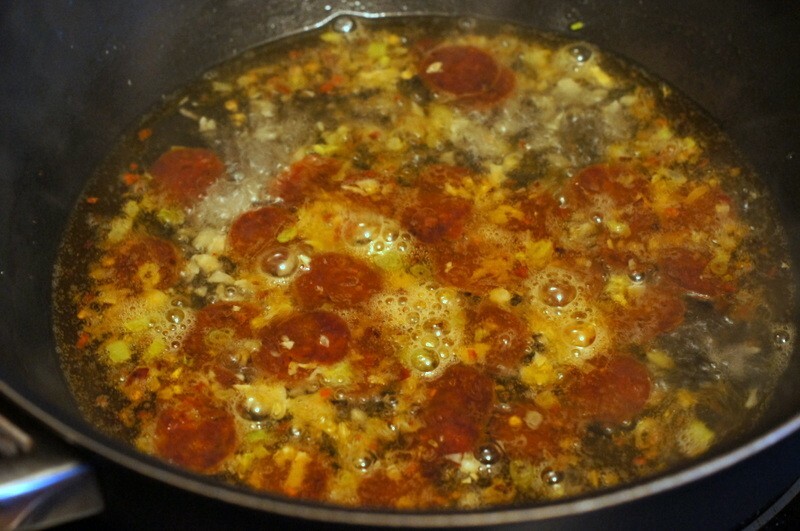 Pour the wine into the pan and simmer until reduced by half, about 5 minutes. 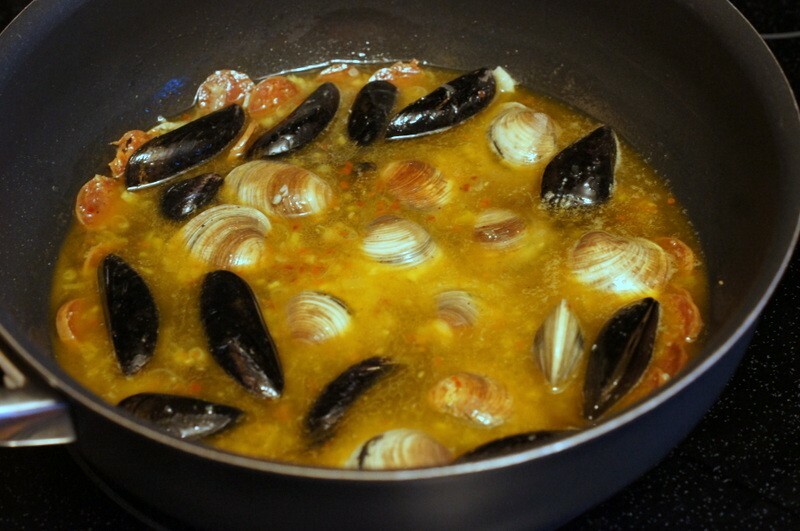 Add the clams and mussels to the pan along with the broth. Bring back to a simmer and cover. Cook for 3-5 minutes, until the shells begin to open. 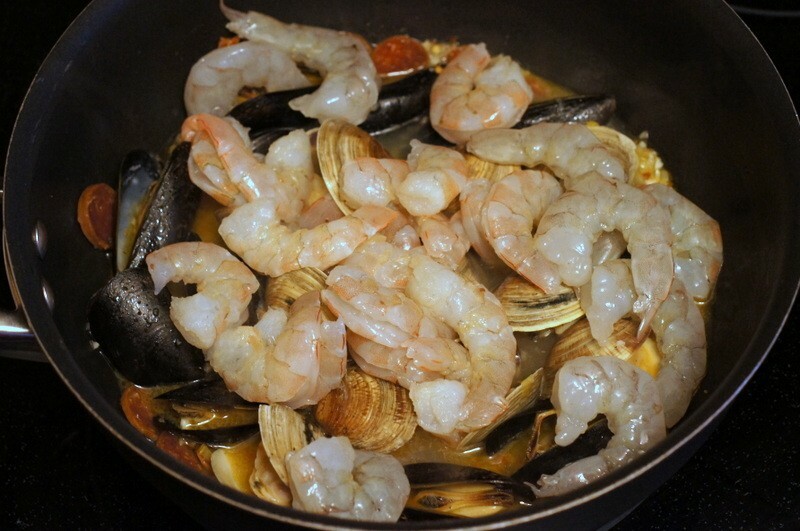 Add the shrimp to the pan and give them a stir. 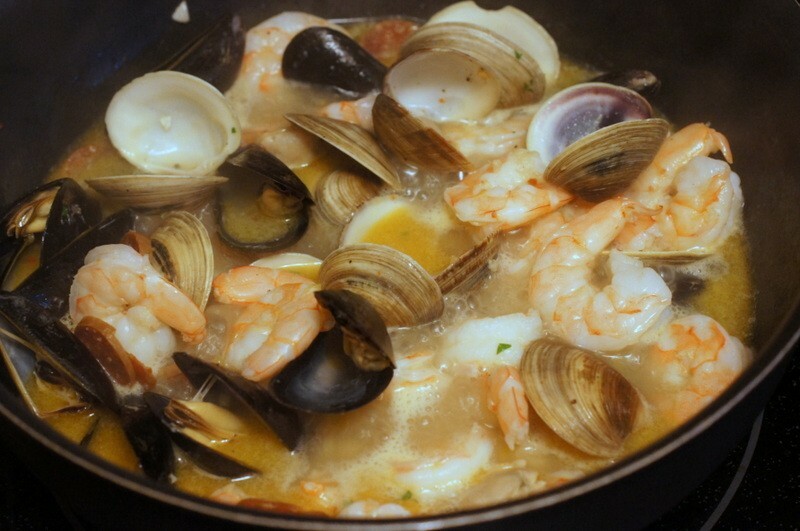 Cover and continue cooking until the shrimp are cooked through, but not tough, and the mussels and clams have opened - about 3-4 minutes longer. 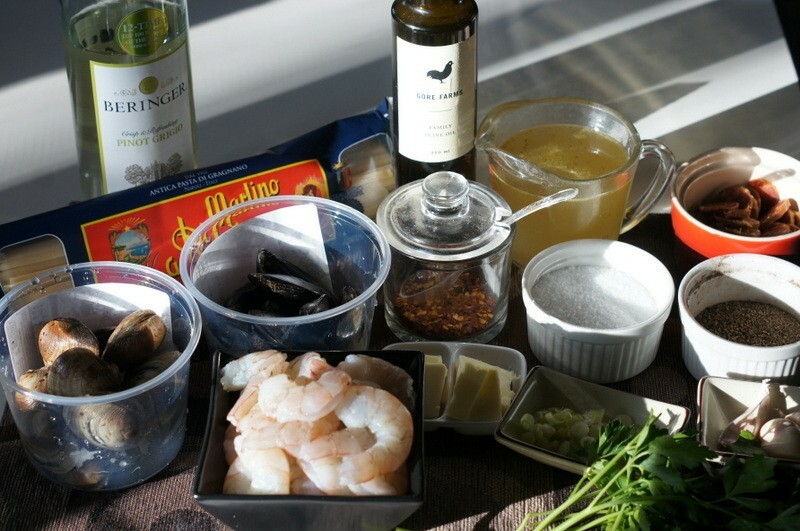 Throw away any clams or mussels with closed shells. 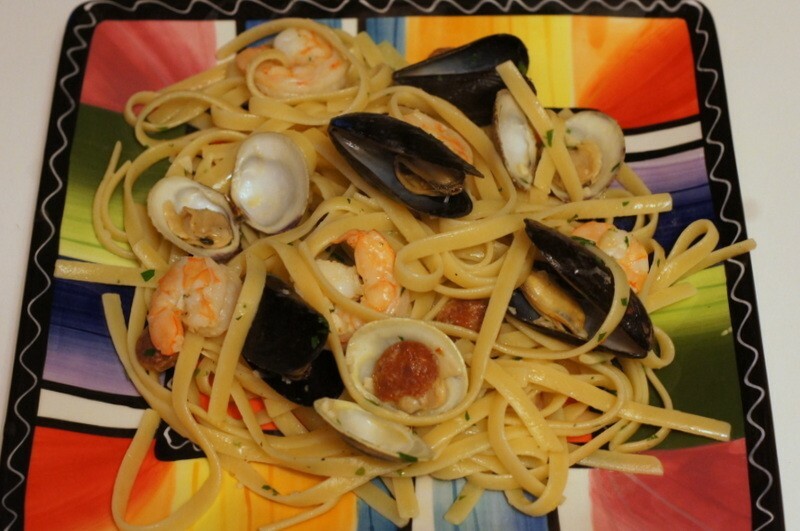 Stir the chorizo and seafood mixture into the pot with the cooked linguine. Toss well and serve.